You may never completely recover from a serious personal injury, but there is no way to restore your state of health and mind prior to the accident. Monetary compensation, or damages, should make some restitution for your injuries, and at the same time hold the other party accountable for his or her negligence. In Texas, personal injury damages are either economic or non-economic. Economic damages consist of compensation directly related to the accident. Non-economic damages generally refer to physical or mental suffering relating to the accident. Economic damages are relatively simple to prove – there are receipts for medical expenses, auto repairs, etc. Non-economic damages are more subjective in nature. Both past and future. This includes the cost of prescription drugs, caregivers, physical therapy and other rehabilitation. You may recover the value of property lost in the accident. Although this generally pertains to motor vehicles, other types of personal injury also incur a loss of property. For example, if you were carrying your laptop when a slip and fall injury occurred and the computer was shattered, you may recover its value as part of compensation. The same holds true if the laptop was in your car at the time of the accident and destroyed along with the automobile. Lost wages are the amount the plaintiff did not receive while recovering from the accident. In many cases, a person is no longer able to work because of the injuries received during the accident or may never again work in the same field. That inability to work is considered a loss of earning capacity. You may recover damages for the pain suffered during the accident and recuperation. If the pain is ongoing, medical evidence is necessary to establish such pain is likely to continue in the future. Compensation for mental anguish is common in cases of severe accidents. Proof of treatment for depression, PTSD, and related issues is needed. A life-changing reminder of the accident. If the plaintiff is severely scarred and no longer enjoys a good quality of life, damages are likely awarded. Accidents often result in mobility loss and other types of physical impairments. Some physical impairments are specific, such as the loss of a limb. Others are more subjective, such as no longer being able to partake in enjoyable activities or perform routine activities, such as cooking or cleaning. In some cases, punitive damages come into play. 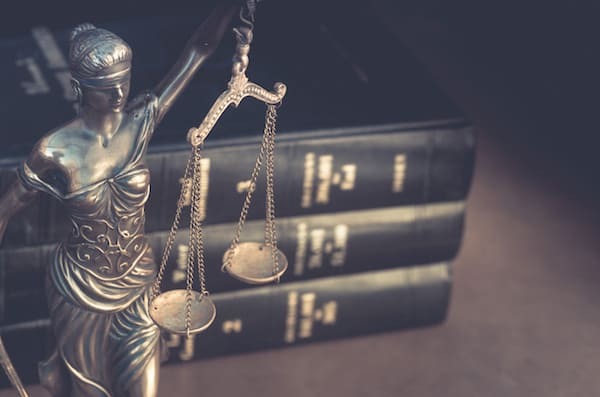 The term “punitive” literally means punish, and that is what these types of damages are meant to do when a defendant has engaged in grossly negligent behavior. 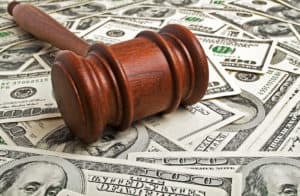 There are limits – or caps – for punitive damages in Texas, and they follow a strict formula. Such damages may not exceed more than twice the amount of economic damages, along with the equal amount of non-economic damages up to $750,000. In Texas, a court will only award punitive damages when economic damages are involved. Texas is not a “no-fault” auto insurance state, so plaintiffs may file personal injury lawsuits against the other driver in a motor vehicle accident. 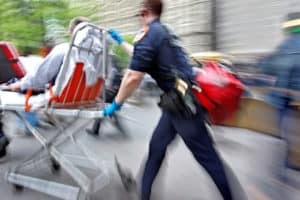 While the state requires minimum liability coverage for all drivers, if you get into an accident with a driver carrying the legal minimum – $30,000 per person for bodily injury, $60,000 per accident involving two or more people, and $25,000 in property damage – a lawsuit may be necessary to recover compensation beyond those minimum amounts. other driver was 100 percent at fault for the accident, the court may not see it that way. Under what is known as the “51 percent bar rule,” accident victims are only eligible for compensation if they are less than 50 percent responsible for the crash. Even if an accident victim falls under the 50 percent threshold, compensation is reduced by the percentage of fault attributed to them. For example, if the victim is found 20 percent responsible for the collision, any award is reduced by that amount. It is possible that an accident victim may encounter further medical issues due to a doctor or hospital error. Because of changes in the state’s tort reform laws, medical malpractice cases are capped at $250,000 for non-economic damages. The same cap holds true for hospitals, so even in a best-case scenario, a suit against a doctor and hospital yields the victim $500,000 before attorney’s fees. A drunken driver may not have assets to pay for any settlement. All is not necessarily lost for the victim of the accident. Crime victims in Texas may receive compensation through the Crime Victims Compensation Fund, and this includes drunken driving victims. Such victims may receive up to $50,000. Those rendered permanently disabled as a result of the crime may receive up to $75,000. Accident victims and their families may not know where to turn after a devastating injury caused by another party. While the victim recuperates and is unable to work, bills still keep piling up. The situation seems overwhelming. Don’t despair – there is help available. A personal injury victim requires skilled legal representation. An experienced personal injury lawyer aggressively fights for your rights so you may receive compensation for your injuries. While we try to settle cases, we are willing to go to court and fight for our clients when necessary.